Rubab Hyder, Alison Kopit & Lesley Williams will discuss the persistence of pursuing education, how to use your voice in challenging situations, overcoming health issues & more. Rubab Hyder is pursuing a dual degree in Biology and Gender and Women’s Studies at the University of Illinois in Urbana-Champaign. She is currently a researcher at Northwestern University, focusing on the impact of environmental carcinogens on human health and organisms. 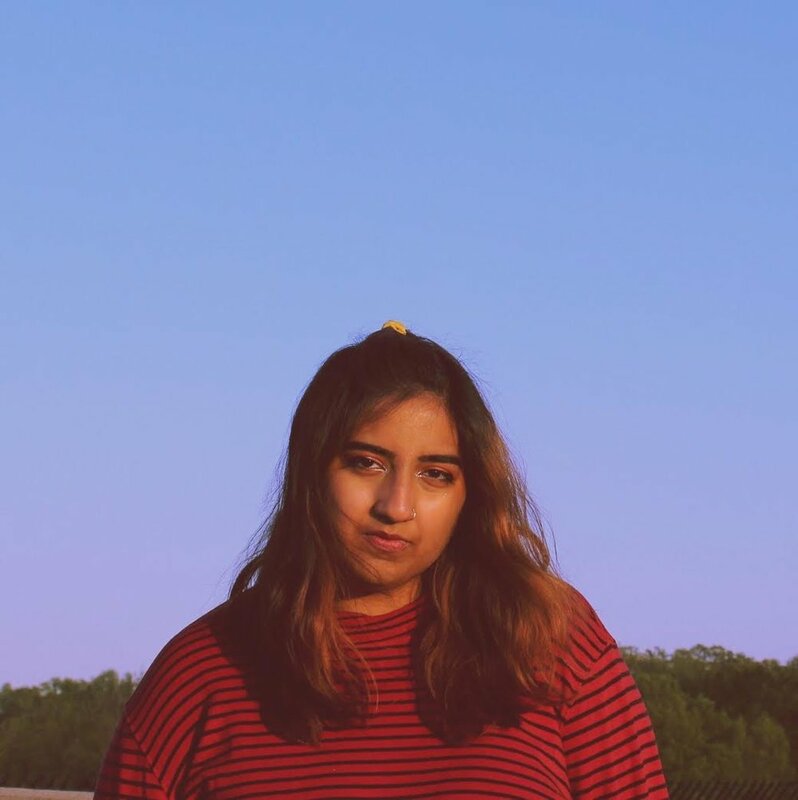 Rubab is interested in translating her activism into the medical field; advocating for better accessibility to healthcare and working towards reproductive justice beyond the West. Rubab is a South Asian woman who believes in the abolition of prisons, the movement for Palestinian liberation, anti-capitalist practices and the destruction of militant policing. In the past year, she has worked for Planned Parenthood, showcased her performance art and has been recently hired as a 2017-2018 Multicultural Advocate for the university. Her resistance is fierce, and she hopes to foster a society that listens to the voices of marginalized people. Alison Kopit is an artist and activist scholar in Disability Studies at UIC. Her recent master's thesis is entitled Toward a Queer Crip Aesthetic: Dance, Performance, and the Disabled Bodymind, and explores the possibilities for bold forms of performance to emerge out of marginalized communities. She is a co-creator of a community-driven online art project called the Not Sorry Project, works on the editorial team of Monstering Magazine, a magazine for and by disabled women and non-binary folks, and is an arts administrator and access ambassador for Rebirth Garments, a queercrip fashion line that seeks to celebrate all bodies and presentations. Alison also organizes and produces work with Bodies of Work, a network of disabled artists and disability organizations that create innovative work about the lived experience of disability. Politicized queer and disability community is at the center of her work, art practice, and life. Lesley Williams is Head of Adult Services at the Evanston Public Library and has been active in community life since moving to Evanston in the 1990s. She has served as a board member for Family Matters, Evanston United Way, Evanston Children's Choir, Muse of Fire Theatre, and Interfaith Action of Evanston. She is currently part of the Open Communities Evanston Justice team, working on issues of affordable housing and a living wage. In 2014, she was a member of the Evanston North Shore YWCA committee that organized programs for Understanding Race, a year of programming on racial issues, in conjunction with the Race exhibit at the Illinois Holocaust Museum. As part of the program, she organized the "11 Months of African American History" series at the Evanston Public Library which featured book discussions, concerts, lectures on African American culture and politics, and staged readings of the plays of August Wilson. As part of her work at the library, Lesley brought an American Library Association/National Endowment for the humanities program series, "Muslim Journeys" to Evanston, which involved hundreds of residents in reading about the Qu'ran, Muslim theology and the prophet Muhammad. She created the library's first Latino Outreach position, and the Community Engagement Coordinator, and advocates for more equitable and inclusive library service to low-income and minority residents. In December 2015, upset and disgusted by campaign rhetoric attacking Muslims, she decided to organize a small gathering of friends and supporters to show Muslim Americans that they are not alone. On December 15, 2015 over 300 people gathered in downtown Evanston to express their support for Muslims and their rejection of anti Muslim, anti immigrant rhetoric. Lesley followed this up in April 2016 with a canvass in conjunction with Jewish Voice for Peace, in which activists posted signs proclaiming support for Muslims and refugees all over town. She co-organized a similar canvass in Oak Lawn with the local Mosque Foundation as part of the Chicago chapter of Jewish Voice for Peace Network against Islamophobia, which she co-chairs.